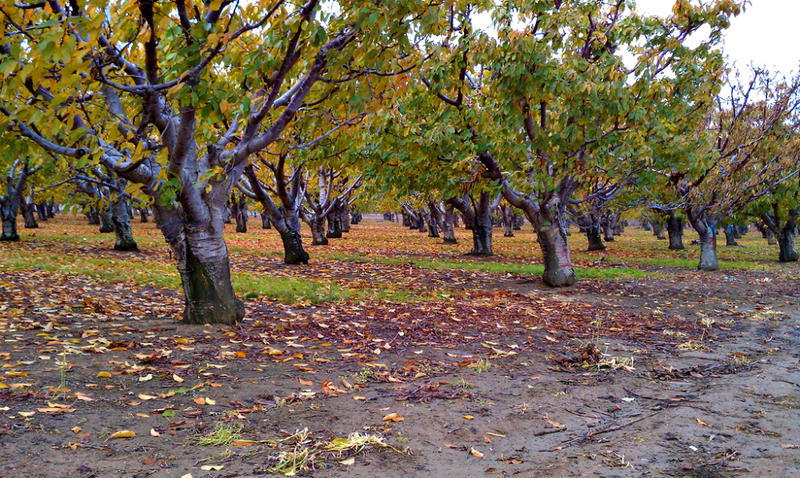 These are the cherry trees that had such beautiful fruit on them previously. Winter dormancy. Pano below.